Lamb McErlane's Estates and Trusts Department plans and administers estates and trusts ranging from a simple will to estates worth hundreds of millions of dollars of ultra-high net worth individuals. How Can You Minimize Disputes Over Your Estate? As part of a complete estate plan you must consider your “invisible assets” which include your “digital assets.” These include those assets you access electronically such as checking accounts, retirement accounts and other financial accounts, as well as your user names, passwords and security questions to access these accounts. Digital assets also include your licenses to software, programs you have developed, e-mail accounts, photo storage sites, social networking such as Facebook, and backup storage for your home and business computers. How do you protect this information and make it available in the event of your death or disability? You should prepare a separate document listing all pertinent information to provide your family and executor with the most expeditious means of protecting these assets and passing them on to your beneficiaries. The list should include all your on-line accounts, user names, passwords, security questions and answers. This list can then be stored with your Will and Financial Power of Attorney along with other valuable papers such as recent income tax returns. It can also be placed on your computer, your removable storage drive or in a “cloud” with remote access. Most importantly, you must communicate to your family member or advisor whom you expect to assume responsibility and where the information is stored, in the event of your death or disability. Finally, all this information must be kept current to be useful. Each new password, account number or user name should be added to the list or placed in a new updated list and the old one destroyed. In this increasingly digital world, these online and electronic assets will play an increasingly important role in your estate plan. For more information contact Stacey Willits McConnell, 610-430-8000. smcconnell@lambmerlane.com. Stacey is a partner at Lamb McErlane and Chair of its Trusts and Estates department. Incapacity. This may be the single most important reason to have a power of attorney. By preparing a health care power of attorney, you designate who will make health decisions for you when you cannot. This same person will be able to make end of life decisions for you. In addition, a power of attorney can name someone who will handle your financial affairs when you cannot. Without one, your family may need to go to court to have a guardian appointed for you. That person may not be the individual you would choose and the process is expensive, time consuming and subject to public scrutiny. A power of attorney will prevent a guardianship. Avoiding conflict. A properly prepared Will can avoid family disputes. This is particularly important when you wish to distribute your property at death in an unequal fashion. Guardians. If you have children under the age of eighteen or an incapacitated child, you must prepare a Will to choose a guardian for these children. Managers. Your Will determines who will be in charge following your death. If you don’t write a Will, it will not be your decision as to who will direct the distribution of your property. Remember that while taxes are an element of an estate plan, the most important reasons to have a well drafted Will and Power of Attorney are non-tax reasons. Don’t delay in getting the proper documents in place. For further information and assistance contact Stacey McConnell at Lamb McErlane, 610-430-8000 or by email. Stacey chairs the firm’s Estate Planning and Trusts Department and has been in private practice in the Philadelphia area for more than 20 years representing both individuals and institutions. 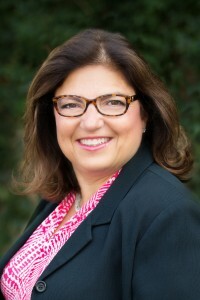 Her practice focuses on estate planning, administration of trusts and estates, charitable giving, and sophisticated wealth preservation and transfer techniques.